So much creativity | A creative life tangled up in lovely yarn! 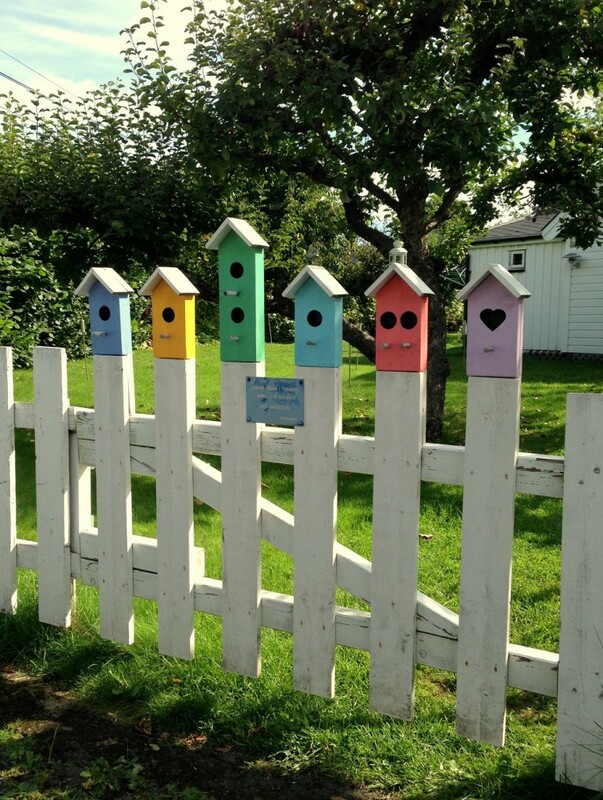 I am so lucky to have an allotment in Oslo and I enjoy waking in the area looking at the beautiful gardens and lovely cottages. It’s a nice and inspiring thing to do. The other day I cam across this gate! How creative and fun. I simply love it. Here are some more inspiring sights I have had. 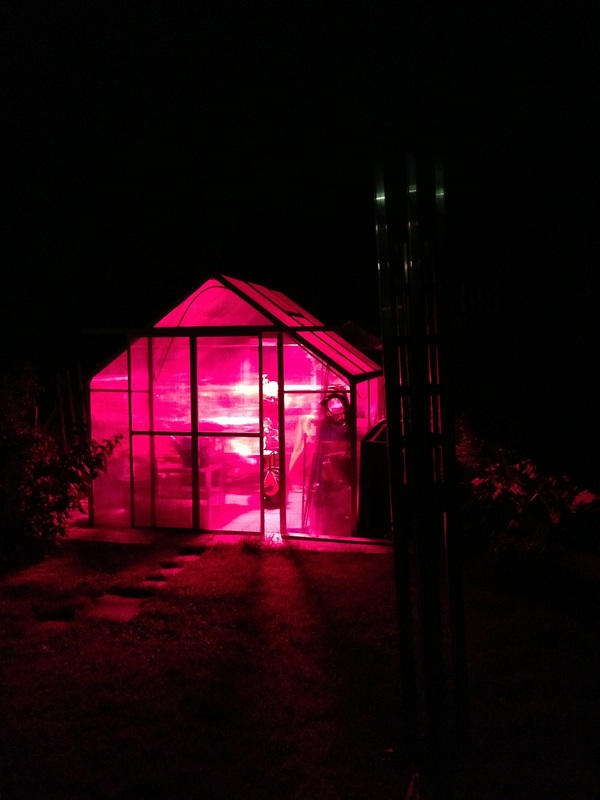 Walking home to the little cottage late one evening I noticed a greenhouse I had never payed any attention to before. I called out for my attention. What a lovely sight it was. Visiting my cousin has just got her own flat and she has so many clever ideas on how to make it personal and functional. 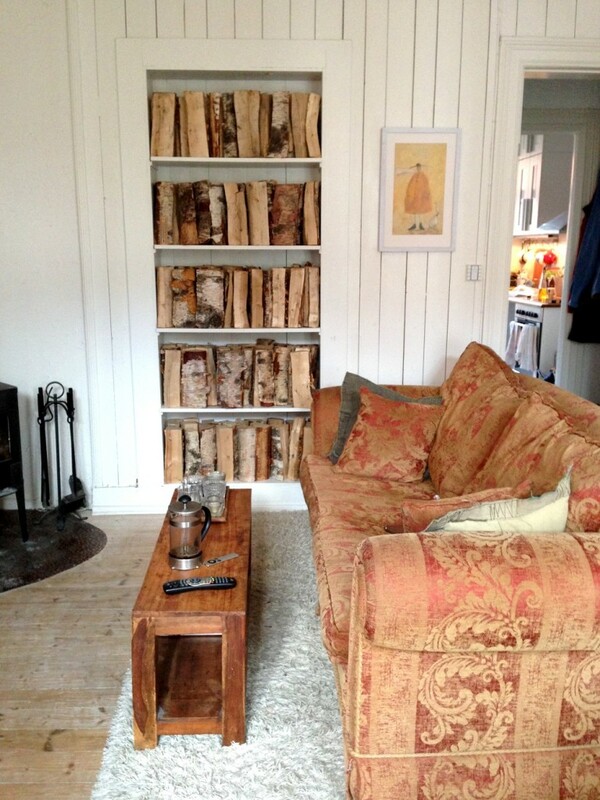 Here she has filled a book case (a blind door it was) with fire wood. I love the look! At the allotment there are markets and the autumn marked stock home made jam for the gardens, vegetables and handicrafts. 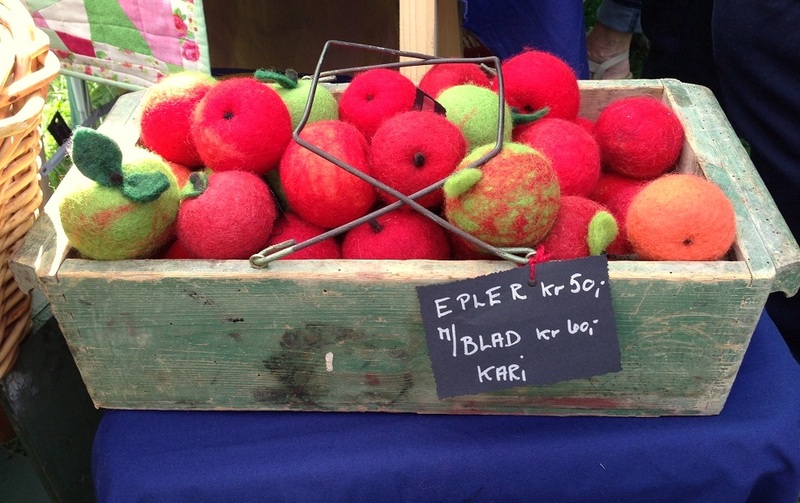 I love the basket of felted apples.